Try Aleene’s Tacky Glue instead of Mod Podge. 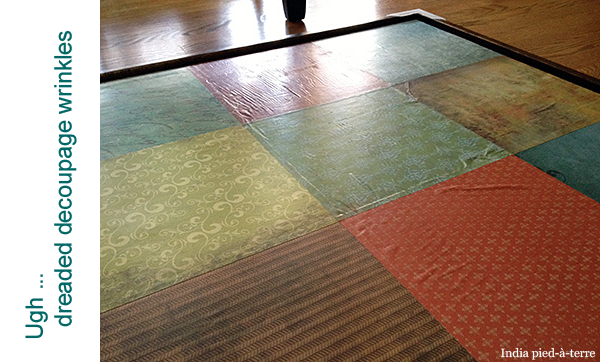 Let glue dry for a bit before applying paper. But those aren’t fail-safe solutions. Wrinkles still happen to me, and probably to you too. There are some wrinkles in it, but not too bad. 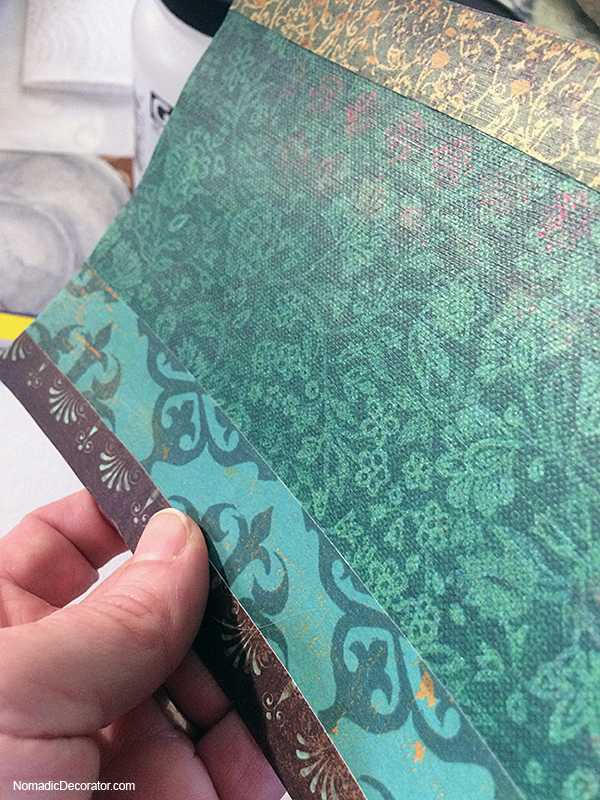 I used a professional grade bookbinding glue found at Blick Art Supplies. It worked much better at preventing wrinkles than Mod Podge or Aleene’s Tacky Glue. But I’m setting the bar high, like zero tolerance level. I’d really love a 100% wrinkle-free decoupage project. Now, I found the solution! The shine is only showing up where light hits these pictures, but the whole collage is shiny like that. Also note: Do you see any wrinkles? While there are some brush strokes, no, you don’t see wrinkled paper! Woo hoo! 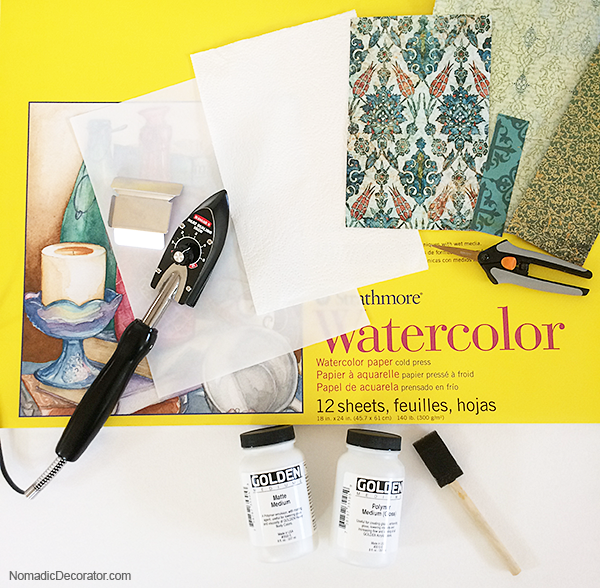 So far I’ve made many paper collages using this method, without any wrinkles. 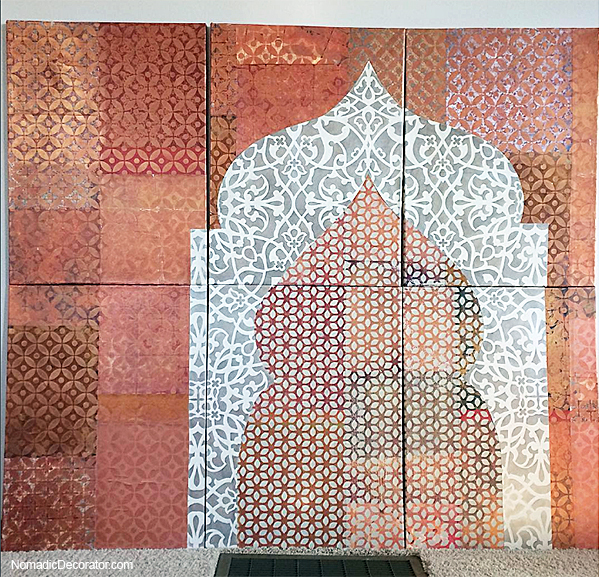 In the next post, I share the step-by-step tutorial that shows how to make wrinkle-free collages with Golden Polymer Mediums, and how to use heat from an iron to fuse the papers together. Visit that post to see how to do this yourself! Laura Lein-Svencner put together a useful reference list about various glues and mediums for decoupage and collage. It explains Mod Podge vs. Yes Glue vs. Golden mediums and more. She shares pros and cons like what to use if you want craft vs professional-level results, what glues might yellow over time, etc. 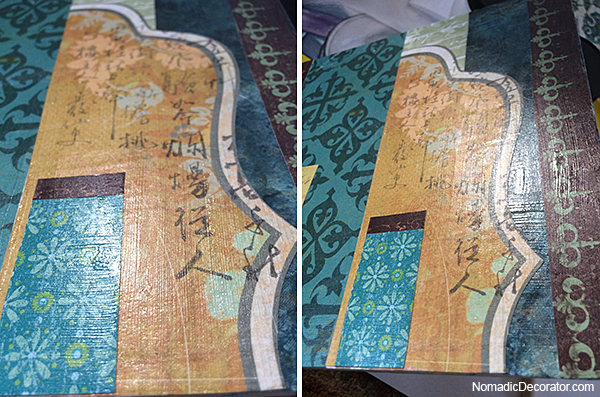 Jonathan Talbot wrote an easy-to-understand post that shows how to fuse papers together with Golden Medium and heat. Here is another post about this heat fusing method. Another another post describing the method, along with some pretty and inspirational collages. This post contains affiliate links, which means I receive a small percentage of compensation at no cost to you if you purchase after clicking the link. I post affiliate links when I have purchased from the company or used the product, and I can confidently share the company or product. This helps offset the cost of running this blog for you! For more info, see Disclosures & Policies.